The sun is hanging low in the sky, hitting the magnolia tree outside the window, throwing dappled shadows on the table where I'm sitting writing this. I love magnolia – it's like blossom (or it just is blossom), but big blossom, blossom that means business, Serious Blossom swaying in a sleepy breeze… and it's in this blissful spring-but-feels-like-summer evening that I stumbled across this track by 不明 FUMEI (不明, pronounced 'fumei' means "unknown"). I think Fumei might be from Italy but I could be wrong, might be German or something else. Who knows. 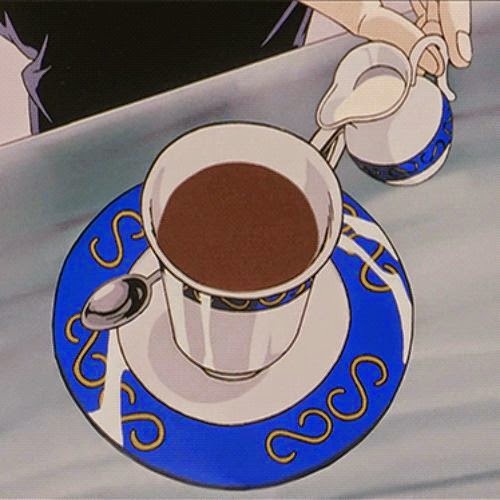 Anyway, unfortunately the track in question, 'Ginseng Coffee', is only 1'30" but it's currently on repeat, sending its nice vibes into my brain. Something about boom-bappish hip hop sounds like this fit this time of day so effortlessly – and if we're talking specifics then I suppose you'd have to say it was the listless offbeat clacking for the duration of the song, the soft but robust bass locked into the kick drum for undeniable rhythmic harmony, the lounge-leaning chords oozing with somnolent tremolo, phasing icy synth, hollow vox-esque sounds plaintively echoing a half-done melody in the midst of sunny heat haze; it's all this that makes this track so lovely, all of it culminating in a sound lightly decayed by its own innate sense of bliss. 'Ginseng Coffee' (which is just titled 'Ginseng' on the release – see below) embodies chillment of a very high degree crossed with otherworldly wooziness, summoning the groggy feeling of having fallen asleep in your garden and waking up with hot skin and absolutely no concept of time, birds zipping home to roost with chirps and whatnot, blue sky littered with near-dissipated clouds.